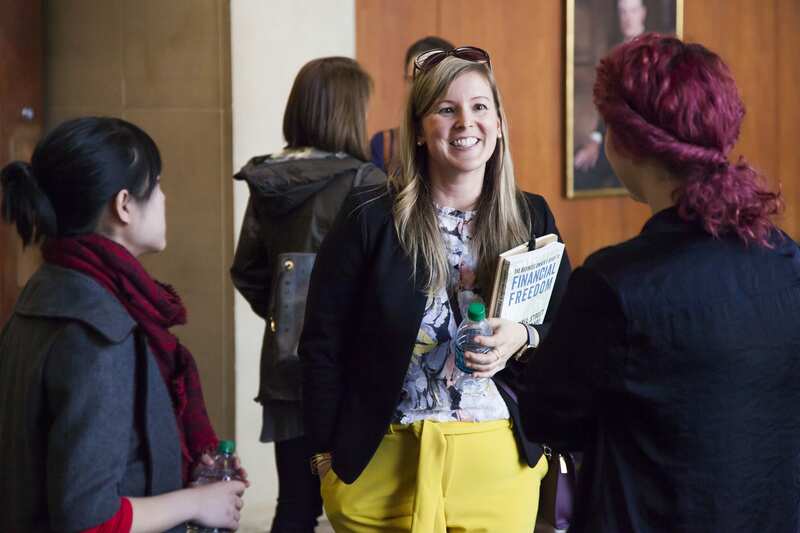 Kristin Yost (at center) spoke with SMU alumni at the MPower: Launching your career after Meadows event in spring, 2017. As I reflected on my first years out of graduate school with an M.M. in Piano Pedagogy and Performance from SMU, I wanted to leave some of the tidbits of wisdom I wish were given more importance in my academic career. Thriving as an artist is possible if you have the right mindset, expectations and goals. A degree is simply a piece of paper. It’s the experience, the challenges of the journey and the people you meet along the way that really lead you to your success. Some of my most meaningful relationships came out of SMU and I am forever thankful for my time as a Mustang. That’s just part of the story. Onward we go. Read this book: E-Myth: Why Most Small Businesses Don’t Work and What to Do About It. Surround yourself with an inner circle of strength. You are the sum of the five people you spend the most time with. Go to as many events like this as you can. Even one idea can be transformative! Go beyond your comfort zone and think bigger. Have goals and write them down. I recommend reading The 12-Week Year. Always have access to cash. Plan for your financial future from the beginning. Recommended: The Business Owner’s Guide to Financial Freedom. Learn from others but don’t be afraid to pave your own way. Everything is always in motion, so create every day and keep looking for what’s next. Accept that fear is going to creep in and be ready to reject it. Comfort is the enemy to progress.